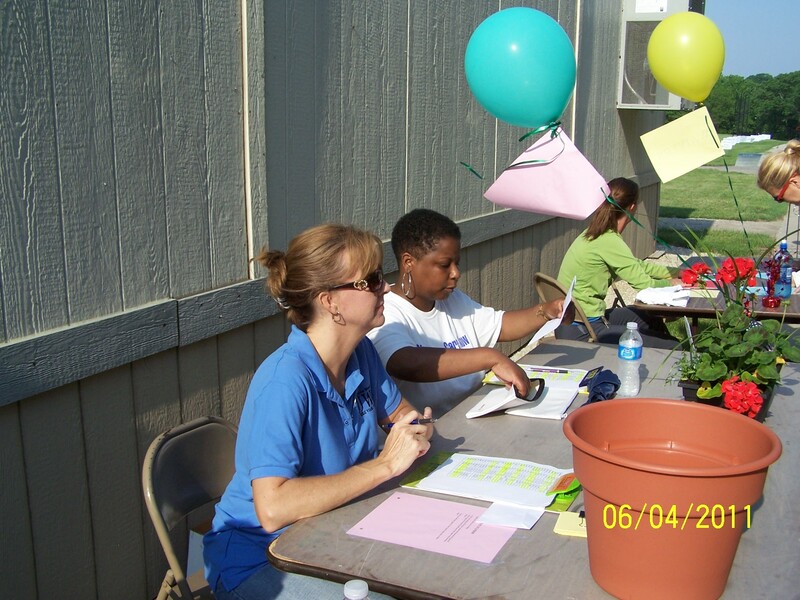 The 19,000 volunteer hours donated last fiscal year keep the Clinic going. You can be a part of that generosity. YOU CAN MAKE A DIFFERENCE! All skills and energy are necessary. Every gift of time and talent is valuable. There are many ways to help for both individuals and groups. You set the time parameter and we’ll customize your volunteer schedule. Patient Contact: Processing patients when they arrive for appointments (recording temperature, weight, etc in the chart. ); assisting at the front desk, interpreting for our Spanish-speaking patients; answering the telephone. 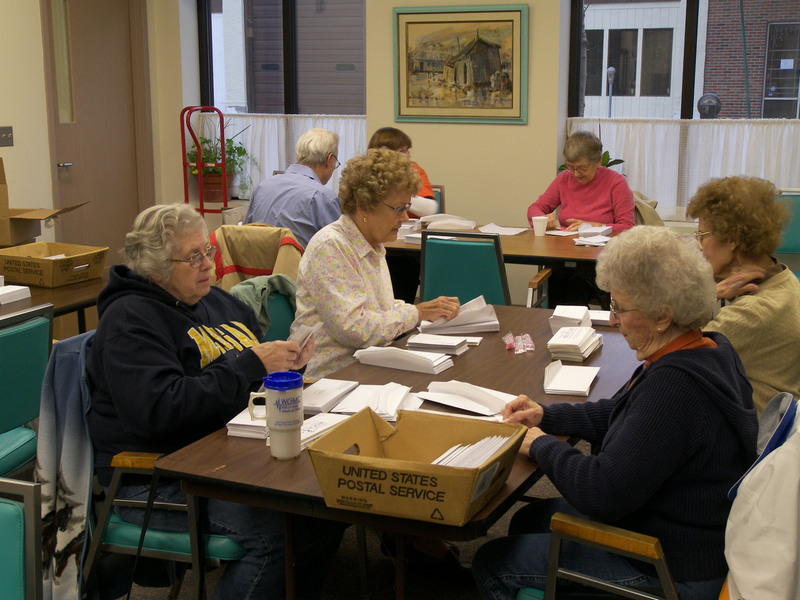 Office Work: Filing patient charts; performing data entry; preparing mailings; sorting donations of sample medications; processing patient applications for prescription assistance programs; assisting with fundraisers. 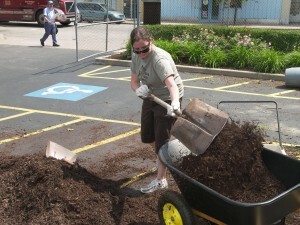 Rosemary Waitkus, RN, selects a block of time for volunteering. 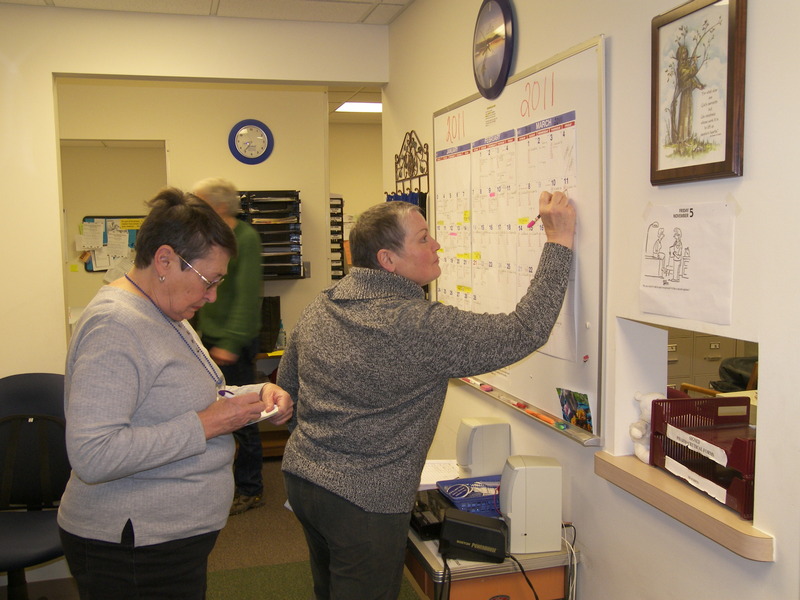 Beverly Bednarik, RN, records her volunteer time. Volunteers Rose and Chuck Gilbert sort donated sample medications. When the Clinic cannot use these medications, they are shared with medical missions both in the U.S.A. and abroad. 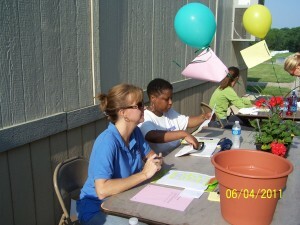 Groups work as volunteers at a Clinic event. Members of the Joliet Junior Woman’s Club worked at the registration table at the Clinic’s 5K Walk – Step Up: Care Now in June. 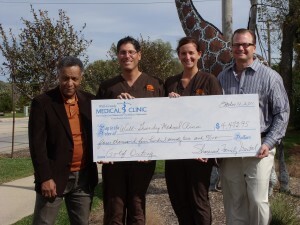 Our friends at Shorewood Family Dental hosted their second annual golf outing to raise funds for the Clinic. 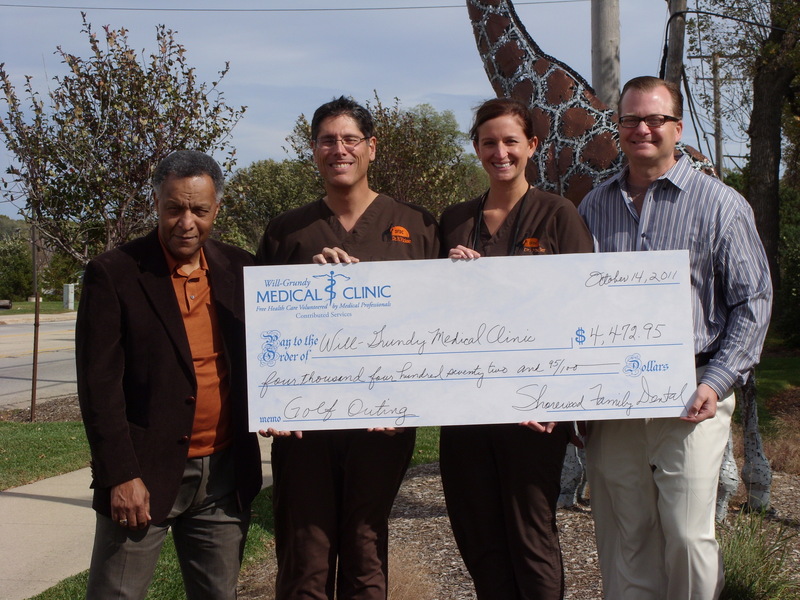 Pictured (from left to right) J. D. Ross, executive director of the Clinic; Henry Vicioso, D.D.S. and WGMC board member; Gina Mueller, D.D.S. ; and Robert Funk, D.D.S. This year they raised $4,472.95. Employees of Loders Croklaan, a producer of palm oil in Channahon, performed landscaping services at the Clinic last year. For more information about volunteering, call the Clinic during office hours and ask for Sandy Wolz, director of Volunteers, 815-726-3377. ext. 225 or send us a request.